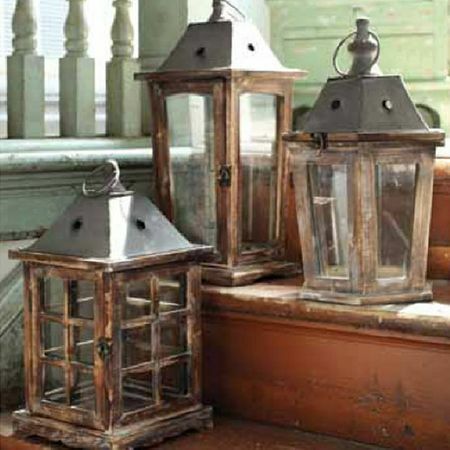 A wonderful assortment of wood lanterns with metal chimneys. Choose from three styles: (left to right) Porch, Terrace or Garden. Or, here's a bright idea - get all three to cluster on an outdoor terrace or dining table. They just go together so well!